Free and Gentle High Efficiency Liquid Laundry Detergent by Tide has all the qualities a detergent safe for sensitive skin must have. In this list, it offers the best value for money. Organic Rain Laundry Detergent by Mineral Methods, meanwhile, is free from any form of detergent so your sweat glands can now say goodbye to absorbing any kind of detergent residue. 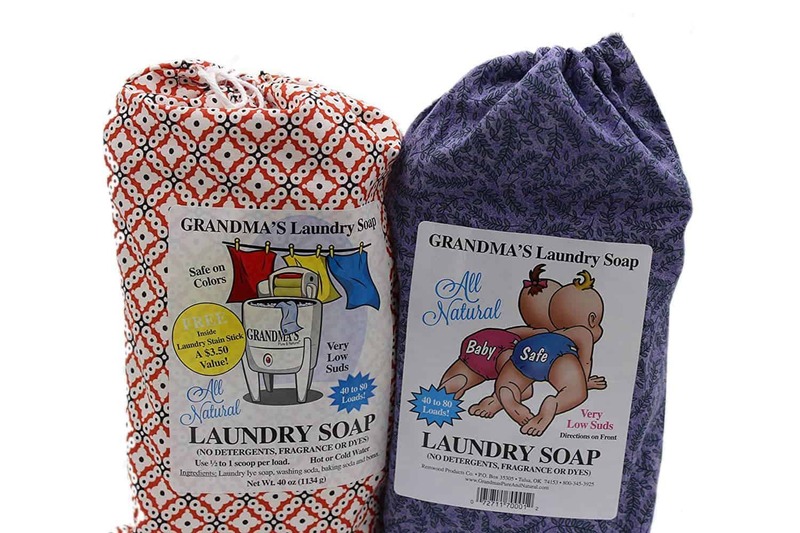 The P﻿ure & Natural All Natural Laundry Soap by Grandma’s doesn’t come with any fragrance, dye or even detergents. This product promises whiter clothes even without using bleach. 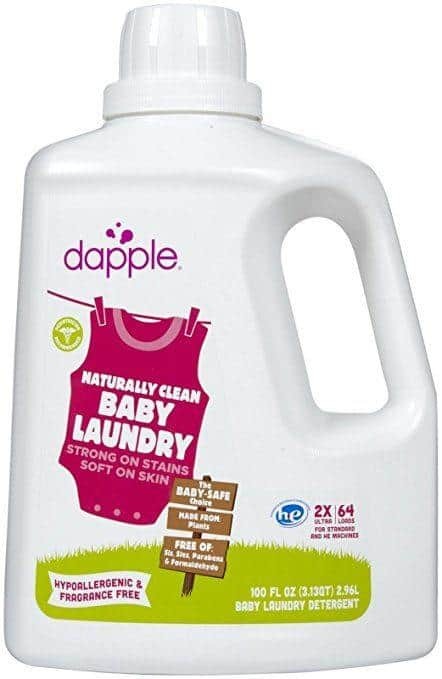 Dapple’s Baby Laundry Detergent is free from any form of irritant. It is highly biodegradable, hypoallergenic, and is pediatrician recommended, too. Can't decide on the best laundry detergent for eczema? Scroll down to find out what our editors have to say. This product is from America’s #1 detergent brand based on sales. It’s also the #1 recommended by washing machine manufacturers. Those are the top two reasons that really attract a lot of people to this product. And of course, it’s really good for eczema-prone skin. This product is an effective detergent as it contains enzymes and biodegradable surfactants. This ingredient is important as it loosens unwanted dirt from your clothes’ surface. This detergent is also highly hypoallergenic and is dermatologist approved. Free from perfumes and dyes, it’ll make you feel a lot more confident in wearing your favorite clothes with no worries about irritations. Gentle on baby’s clothes, this detergent can also be used to clean septic and aerated systems. It does not damage septic tanks or plumbing systems. The first thing that’ll attract you to this product is that it is detergent-free. It makes use of natural mined crystalline, a bio-friendly ingredient, to fight stains. In addition to this, it contains organic grain electrolytes that enhance softening and cleaning. This product also claims to be without any stain remover chemicals. It is also hypoallergenic, making it perfect even for those with the most sensitive skin. This product is perfect for those with sensitive skin because it is an all-natural laundry soap. It contains no fragrance, dyes, and detergents- the top causes of irritants for sensitive skin. This laundry soap also contains no chemical fabric softeners. For fresh and clean laundry, they recommend using around 1/2c of vinegar for the same benefit. Despite the gentle formulation, this product is tough, particularly when it comes to whitening clothes. Since it cleanses well, you won’t need to use too much product when doing your laundry. This one can last you a long time, especially if you stick with using the measuring spoon it comes with. This has got to be the best laundry detergent for babies with eczema. The company is known for manufacturing detergents safe for babies, so you are definitely safe with this one. Perfect for newborn babies, this detergent can also be used to wash cloth diapers. It is also effective against spit-up stains, a problem most mommies find problematic. Hypoallergenic, this is free from parabens, SLES, SLS, or any kind of irritants that could harm people with sensitive skin. Lastly, it is safe for standard and HE machines. The really nice thing about this Laundry Detergent by Puraderm is its ability to remove even the residues left by earlier laundry detergents. It helps break down deposits from old detergents in our washing machines. This is why clothes come out cleaner and softer after every wash. The product also claims make clothes softer even without using fabric softener. It promises to leave no residue behind, thus no more “stiffen fabric” feel to your clothes. Lastly, this product is proven to be safe even for infants. Doctor recommended, rest assured that you’ll get nothing but the best from this laundry detergent. Laundry detergents come in all forms and sizes and, sometimes, it can be tricky to choose which ones would really suit your needs. For people with sensitive skin, the simple answer to this question is liquid detergents. It is always a good idea to avoid powdered ones, as they are most likely to leave residues behind. Any trace of chemical, no matter how small it is, can cause a negative reaction for people who have skin sensitivity — something that we are trying to avoid. If you are looking for the best laundry detergent for sensitive skin, you should skip the last two components. Aside from being irritating, they also tend to remain in clothes even after rinsing. The first four ingredients are the ones responsible for the “cleaning” part, while fragrances are just added to hide any smell the detergent leaves behind. Optical brighteners, on the other hand, do none of the cleaning but are added to make clothes “appear” brighter and cleaner. They mostly work to convince the eyes that you’re getting a much cleaner result. Always opt for liquid detergents over powdered ones as the latter is more likely to leave some residues. It is advisable to use a liquid fabric softener, as a recent study has proven that it is actually beneficial for those with skin sensitivity. When in doubt, make sure to check the NEA website for a list of products that have been presented with the NEA Seal of Acceptance. It is always recommended to wash new clothes or fabrics before using them. The same thing goes for babies—but in their case, their clothes (and plush toys included) should be washed separately. Commercial laundry detergents are filled with harsh chemicals to increase their ability to remove stains. So does this mean people with skin sensitivity should settle for less? Tide’s Free and Gentle High Efficiency Liquid Laundry Detergent is the winner for this round as the best laundry detergent for eczema because it is both tough and gentle at the same time. It does exactly what a laundry detergent is supposed to do- minus all the irritation.